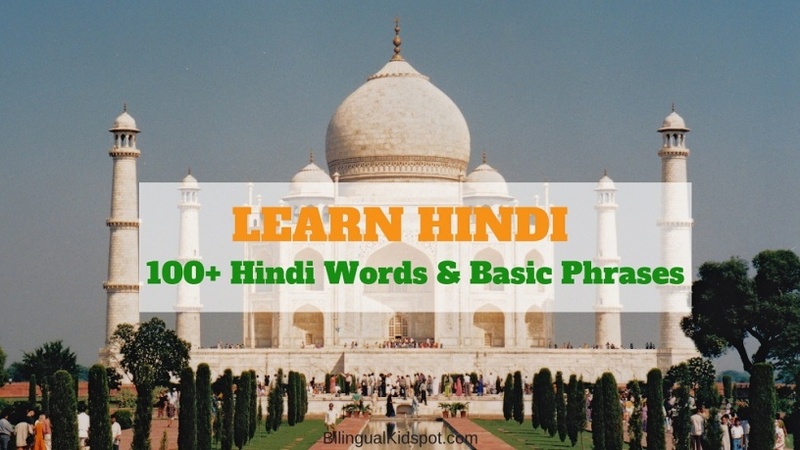 Want to learn Hindi or teach your child the Hindi language? 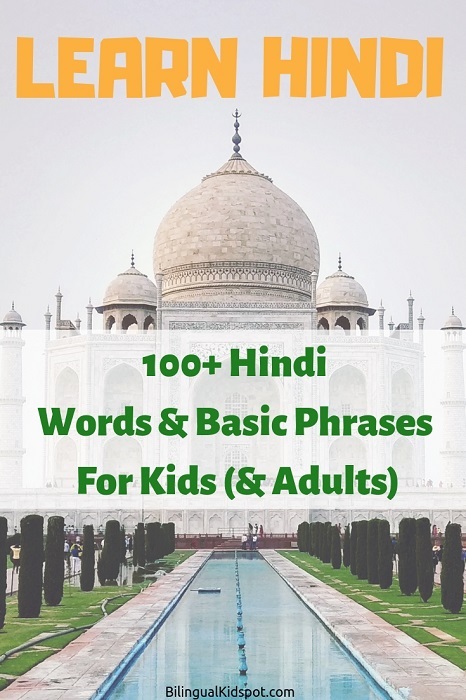 Here are 100 Hindi phrases and basic words in Hindi for kids (and adults) that you can learn now. These basic phrases and words in Hindi are useful and most likely to come up in day to day situations. What’s more is, if you are planning on visiting India, these Hindi phrases can take you a long way! TIP: Mix and match some of the Hindi words below and you’ll find your child can say so much, with just this article. Also, for more resources on learning Hindi make sure you follow our Learn Hindi for Kids series! A word for hello and goodbye. This is probably the most popular and widely-used Hindi words, thanks to yoga! Your child will, of course, need to know the words for yes and no – might be the most useful of all the words they learn. A nice way for you and your kids to be polite when you meet someone for the first time. It also works great to impress. Answer depending on your gender. The word “kitne” means “how many” or “how much” and refers to numbers. We all know kids love to ask “why,” so now they can say it in Hindi too! Main Thak Gaya/Gayii (I’m tired). This word is used all the time, and is fun to say too — it sounds like the letters T.K. A really useful phrase for kids, because they’re always asking adults for things! Both are great words for “thank you!” Shukriya has more of an Urdu influence, but is still often used in today’s Hindi. Note: This word, although useful, is not often used in colloquial Hindi. Hindi doesn’t need to be difficult. These useful Hindi phrases and words are a great way to start of learning the basic vocabulary of the Hindi language. Hindi books are also very useful. 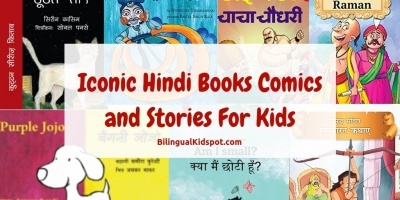 Make sure to take a look at our Hindi book list for kids and follow our Learn Hindi for Kids series. Author: Reena Bhansali is the owner of Hindi By Reena — the world’s first one-stop-shop for Hindi books, tips and courses. She is also the author of the popular children’s language book “My First Hindi Words” which you can find on “AMAZON” You can find more Hindi resources for kids on her website.